Please consider submitting to a special session titled: “Serious Religion at Play in the Long Eighteenth Century” at the M/MLA Convention, Nov. 3-6 2011 in St. Louis. Throughout the long eighteenth century religion was still serious business, yet many began to “play” with the boundaries of religious expression. Evangelical movements like Methodism swept the country, but raised the spectre of religious “enthusiasm” in the minds of the some. Religious subjects dominated public discourse as the nation sought to work through its religious identity. Papers could address any of the issues related to religious identity in England: how authors began to “play” with religious ideas, how “enthusiasm” was redefined during the period, how authors attempted to play with religion by making it absurd in satire, or how despite this religious play, there were still serious consequences for those who went too far. Send paper proposals, 300-500 words to Andrew Winckles, ec6720@wayne.edu by July 11th. As I dig deeper into the history and structures of the Evangelical conversion narrative, I have been continually struck by how, as one of my professors constantly reminds me: “genre is a powerful thing. Especially in the case of the conversion narrative, these stories come to inform how men and women relate to their faith, form their identity, and relate that identity to a broader religious community. As Somers and Gibson have argued, such narrative structures are powerful in showing that “stories guide action; that people construct identities (however multiple and changing) by locating themselves or being located within a repertoire of emplotted stories; that ‘experience’ is constituted through narratives” (qtd. in Brown 70). Furthermore, these narratives reach out and arrest the reader (then and now) by using a profoundly embodied sense of spiritual perception to represent their experience with faith and the divine. In these they simultaneously anticipate, appropriate, and interrogate the empirical philosophy of the Enlightenment (especially John Locke) that bases human understanding on sense perception. If religion is to mean anything definite for us, it seems to me that we ought to take it as meaning this added dimension of emotion, this enthusiastic temper of espousal, in regions where morality strictly so called can at best but bow its head and acquiesce. It ought to mean nothing short of this new reach of freedom for us, with the struggle over, the keynote of the universe sounding in our ears, and everlasting possession spread before our eyes (46-47). 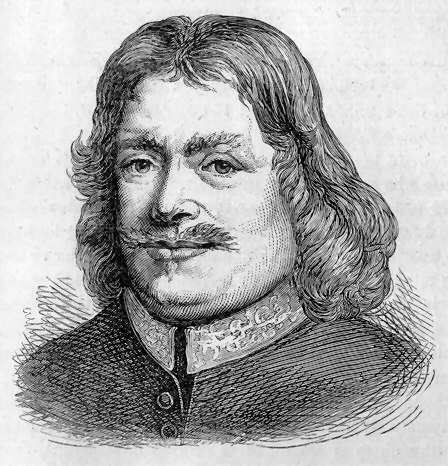 John Bunyan’s conversion narrative is a prime example of how these different philosophical and theological ideas play themselves out in narrative. Grace Abounding to the Chief of Sinners is widely considered to be the forerunner to the evangelical conversion narrative of the eighteenth century. Though writers before Bunyan (most notably the Catholic mystics) had written about their conversion experiences, Bunyan elevates the genre to an entirely new level, integrating a complex internal subjectivity and narrative pattern that anticipate the novel form. I have written about the conventions of conversion narratives elsewhere and there is an excellent and growing literature on the subject (see especially D. Bruce Hindmarsh, The Evangelical Conversion Narrative), but what really sets Bunyan’s narrative apart is the way it relies on sense perception to represent spiritual experience. Yet I saw my sin most barbarous, and a filthy crime, and could not but conclude, and that with great shame and astonishment, that I had horribly abused the holy Son of God. Wherefore I felt my soul greatly to love and pity him, and my bowels to yearn towards him; for I saw he was still my Friend, and did reward me good for evil; yea, the love and affection that then did burn within to my Lord and Saviour Jesus Christ did work, at this time, such a strong and hot desire of revengement upon myself for the abuse I had done unto him, that, to speak as I then thought, had I had a thousand gallons of blood within my veins, I could freely then have spilt it all at the command and feet of this my Lord and Saviour. Here we see the evangelical convention of representing an ultimately indescribable spiritual experience as a visual event. Bunyan does not of course mean that he literally saw his sins set before him or that Jesus was his friends, but it is the best language he can come up with to describe the experience. Once as I was walking to and fro in a good man’s shop, bemoaning of myself in my sad and doleful state, afflicting myself with self-abhorrence for this wicked and ungodly thought; lamenting, also, this hard hap of mine, for that I should commit so great a sin, greatly fearing I should not be pardoned… suddenly there was, as if there had rushed in at the Window, the Noise of wind upon me, but very pleasant, and as if I had heard a voice speaking, Didst ever refuse to be justified by the Blood of Christ? And, withal my whole life of profession past was, in a moment, opened to me, wherein I was made to see that designedly I had not; so my heart answered groaningly, No. Then fell, with power, Heb. 12.25. that Word of God upon me, See that ye refuse not him that speaketh. This made a strange seizure upon my spirit; it brought light with it, and commanded a silence in my heart of all those tumultuous thoughts that before did use, like masterless Hell-hounds, to roar and bellow, and make a hideous noise within me. It showed me, also, that Jesus Christ had yet a word of Grace and Mercy for me, that he had not, as I had feared, quite forsaken and cast off my Soul…. But as to my determining about this strange dispensation, what it was I know not; or from whence it came I know not. I have not yet, in twenty years’ time, been able to make a judgment of it; I thought then what here I should be loth to speak. But verily, that sudden rushing wind was as if an Angel had come upon me; but both it and the Salutation I will leave until the Day of Judgment; only this I say, it commanded a great calm in my Soul; it persuaded me there might be hope; it showed me, as I thought, what the sin unpardonable was, and that my Soul had yet the blessed privilege to flee to Jesus Christ for Mercy. 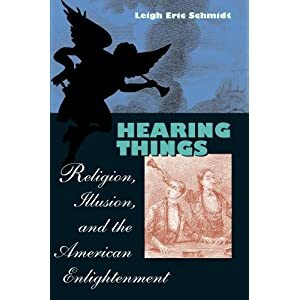 This language of “speaking” to the heart, “hearing” the Lord’s voice or a passage of Scripture, and entering into a sort of dialogue with God became standard in later narratives as converts sought to explain the emotional apotheosis of coming to faith. Like Bunyan they too experienced something they cannot easily describe, so they turn to the language of sense experience to explain it. There are many more examples like this in Grace Abounding, but the key point here is that Bunyan comes to understand faith primarily through the evidence of “spiritual” sense. “it is not possible for any man to imagine any other qualities in bodies, howsoever constituted, whereby they can be taken notice of, besides sounds, tastes, smells, visible and tangible qualities” (Chapter II, Section 3). Thus, according to Locke, all that we know can ultimately be traced back to sense experience. That said, though Locke was himself a Christian, he did not believe that the metaphysical world could be perceived by sense – only deduced from the rational ordering of the universe. Nevertheless, eighteenth religious leaders from Jonathan Edwards to John Wesley most certainly read Locke and used his general principle of sensible experience to develop a theory of religious sensibility and experience. God has endued the soul with two faculties: one is that by which it is capable of perception and speculation, or by which it discerns, and views, and judges of things; which is called the understanding. The other faculty is that by which the soul does not merely perceive and view things, but is some way inclined with respect to the things it views or considers; either is inclined to them, or is disinclined and averse from them; or is the faculty by which the soul does not behold things, as an indifferent unaffected spectator, but either as liking or disliking, pleased or displeased, approving or rejecting. This faculty is called by various names; it is sometimes called the inclination: and, as it has respect to the actions that are determined and governed by it, is called the will: and the mind, with regard to the exercises of this faculty, is often called the heart (96). Likewise John Wesley faced accusations of enthusiasm throughout his life and ministry and often had more difficulty distinguishing between true religion and enthusiastic excess. 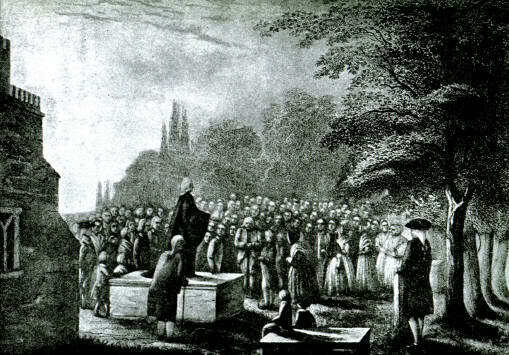 Early Methodism could be a raucous affair with thousands (sometimes tens of thousands) of people turning out in the open air to hear famous preachers like the Wesley brothers and George Whitefield. Extravagant expressions of religious emotion were often the norm at such events with people breaking down into tears, crying out and even suffering catatonic convulsions. 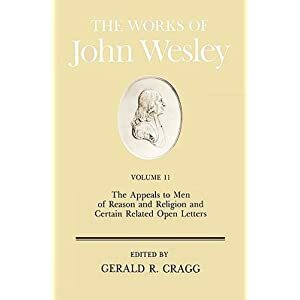 In his published Journal, Wesley expresses reservations about such experiences but in general judged many to be genuine.3 Likewise Wesley’s eagerness to accept the genuineness of emotional experience led to controversy in 1763 when two of his preachers, Thomas Maxfield and George Bell, proclaimed themselves spiritually perfect and led a portion of one of Wesley’s London congregations into antinomianism. Wesley was slow to react, wanting to test whether Maxfield and Bell’s experience was genuine, but in the end his failure to act quickly caused a major rift within London Methodism4 (Heitzenrater 2729). However this may be, in general Wesley thought that the true test of every religious emotion was how the convert manifested the fruits of the Spirit in everyday life. Though a person could not be saved through works; love, joy, and peace with one’s neighbor were the true signs of conversion. 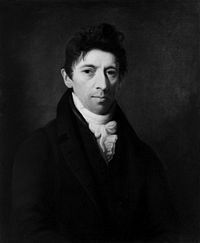 It was because of this belief that Wesley solicited personal experience accounts from his vast network of correspondents, many of whom were women. These accounts not only represented evidence that his ministry was effective, but that the religious emotions of conversion could be genuine and carry over into everyday life, powerfully molding a sense of religious agency. And seeing our ideas are not innate, but must all originally come from our senses, it is certainly necessary that you have senses capable of discerning objects of this kind: not those only which are called natural senses, which in this respect profit nothing, as being altogether incapable of discerning objects of a spiritual kind; but spiritual senses, exercised to discern spiritual good and evil (V:12). Here Wesley simultaneously draws on Locke and moves further than him, arguing for spiritual perception of spiritual things to mirror natural perception of natural things. Faith is that divine evidence whereby the spiritual man discerneth God, and the things of God. It is with regard to the spiritual world, what sense is with regard to the natural. It is the spiritual sensation of every soul that is born of God… [it] is the eye of the new-born soul… It is the ear of the soul, whereby a sinner ” hears the voice of the Son of God, and lives…It is… the palate of the soul; for hereby a believer ” tastes the good word, and the powers of the world to come ;” and “hereby he both tastes and sees that God is gracious,”yea,” and merciful to him a sinner.” It is the feeling of the soul, whereby a believer perceives, through the “power of the Highest overshadowing him,” both the existence and the presence of Him in whom ” he lives, moves, and has his being;” and indeed the whole invisible world, the entire system of things eternal. And hereby, in particular, he feels ” the love of God shed abroad in his heart (V:6). Thus faith is intimately connected to sense and even in the case of spiritual sense Wesley describes it primarily in terms of natural sense and emotion as a means to validating experience. For this reason Methodist conversion narratives and religious experience accounts are full of the language of sensory perception and emotion – though the experience of faith is ultimately ineffable these men, and especially women, use the language of sensibility to describe faith. While thus lost in communion with my Saviour, he spake those words to my heart, – “All that I have is thine! I am Jesus, in whom dwells all the fulness of the Godhead bodily – I am thine! My Spirit is thine! My Father is thine! They love thee, as I love thee – the whole Deity is thine! All God is, and all he has, is thine! He even now overshadows thee! He now covers thee with a cloud of his presence” (102). Here sensual perception (in this case hearing) is combined with a deeply spiritual revelation of union and communion with God that ends with Rogers describing the intensity of the experience in terms of life and death, writing “I believe, indeed, if this had continued as I felt it before, but for one hour, mortality must have been dissolved, and the soul dislodged from its tenement of clay” (102). This type of language, though often less beautifully expressed, became the stock in trade of the evangelical conversion narrative – shaping the identities and subjectivities of an entire generation of believers. It is at the same time heavily indebted to the Enlightenment and profoundly opposed to it – in other words it is both enlightened and enthusiastic – a complex fusion of the two that effectively works to break down a binary opposition. It is in tracing these trends from Bunyan to Locke to Wesley and his movement that we can begin to see that expressions of religious “enthusiasm” persisted throughout the eighteenth century but they did not persist in a vacuum – they subtly shaped and were shaped by a culture that was still working out what it meant to be a being in the world. 1. See Antonio R. Damasio, The Feeling of What Happens: Body and Emotion in the Making of Consciousness. New York: Harcourt Brace, 1999: “Moreover, the presumed opposition between emotion and reason is no longer accepted without question. For example, work from my laboratory has shown that emotion is integral to the processes of reasoning and decision making, for worse and for better” (40-41). 2. The role of the “religious affections” was a particularly controversial topic in New England at the time. Following the revival at Edward’s Northampton Church in 1734-1735, the religious establishment (especially in Boston) began to increasingly question what they saw as the excesses of religious emotion (or “enthusiasm” that characterized the revival experience. Edward’s wrote his famous Faithful Narrative of the Surprising Work of God in large part to combat the misconceptions of the revival and defend the role of proper religious affections in conversion. His Treatise on the Religious Affections expand this commentary and more clearly delineates how to distinguish genuine from false affections. 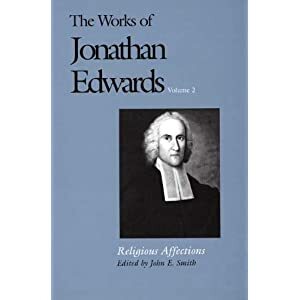 For more on this see George M. Marsden, Jonathan Edwards: A Life and the Yale University Press edition of Religious Affections edited by John E. Smith. The truth is that this did not help Wesley’s reputation as an enthusiast and rabble rouser. 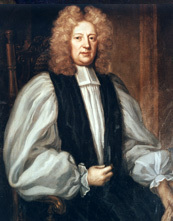 As Hempton writes, “Early Methodists were looked upon as disturbers of the world, the new Levellers, and were thus victims of surviving memories of the English Civil War when antecedent forms of popular religious enthusiasm led, or so it was thought, to the collapse of political, religious, and social stability” (87). 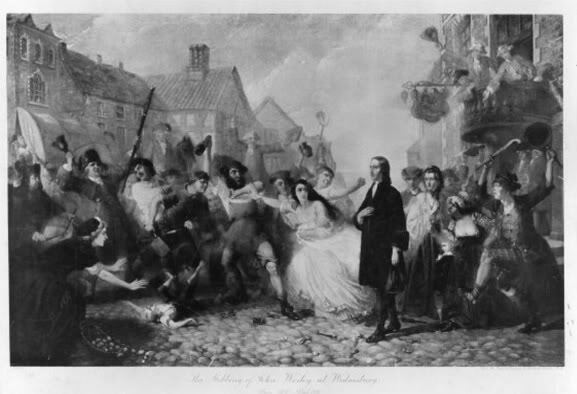 Thus it was no surprise that many early Methodist meetings were broken up by riots or press gangs. 4. 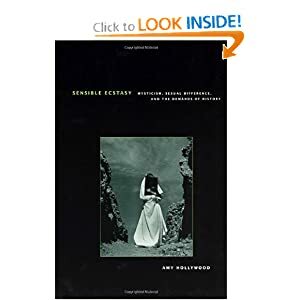 For more on the Maxfield and Bell controversy see Kenneth Newport, “George Bell: Prophet and Enthusiast,” Methodist History 35.2 (1997), 95-105. This was one of several cases where Charles Wesley’s instincts towards more tradition and stability in the Methodist movement should probably have been followed sooner. He warned John about Maxfield and Bell early on but John was slow to act, preferring to believe their experience genuine. Brown, Callum G. The Death of Christian Britain. London: Routledge, 2009. Bunyan, John. Grace Abounding to the Chief of Sinners. Boston: Houghton Mifflin, 1888. Edwards, Jonathan. Religious Affections. Ed. John E. Smith. New Haven, CT: Yale UP, 1959. Heitzenrater, Richard P. Wesley and the People Called Methodists. Nashville: Abingdon, 1995. Kindle Edition. James, William. The Varieties of Religious Experience. Cambridge, MA: Harvard UP, 1985. Locke, John. An Essay Concerning Human Understanding. London: Tegg & Son, 1836. Somers, Margaret R. and Gloria D. Gibson. “Reclaiming the Epistemological ‘Other’: Narrative and the Social Construction of Identity.” Social Theory and the Politics of Identity. Ed. Craig Calhoun. Cambridge, MA: Blackwell, 1994. 37-99. Wesley, John. “An Earnest Appeal to Men of Reason and Religion.” The Works of John Wesley, Vol. 5. New York: Emory and Waugh, 1831. As I prepare for my qualifying exam this summer I will be blogging through some of the books I am reading as a means to clarifying my thinking. These posts are not intended to be terribly original or fully developed, but merely gesture towards some interesting lines of analysis. Having considered some of the prophetic overtones of John Bunyan’s Pilgrim’s Progress in my last post, I now want to turn to his autobiographical Grace Abounding to the Chief of Sinners. Grace Abounding was written while Bunyan was serving a lengthy jail term for preaching publically without a license and was published in 1666. Like Pilgrim’s Progress the text deals with the struggles and temptations of the Christian life, but unlike the better known work Grace Abounding does so within the genre of the conversion narrative. This in itself is interesting, especially vis a vis my continuing interest in the development of the conversion narrative over the course of the long eighteenth century (see my previous post on Methodist conversion narratives) and in fact Grace Abounding has been on my reading list for quite some time. I’m going to deal with some of the interplay between Bunyan’s narrative and later evangelical narratives at length in my next post so what I want to do here is point out some of the more important and interesting facets of the narrative that help us better understand the particularities of Bunyan’s life, theology, and work. Now I began to conceive peace in my Soul, and methought I saw as if the Tempter did lear and steal away from me, as being ashamed of what he had done. At the same time also I had my sin, and the blood of Christ thus represented to me, that my sin, when compared to the blood of Christ, was no more to it, than this, little clot, or stone before me is to this vast and wide field that here I see. This gave me good encouragement for the space of two or three hours; in which time also, methought I saw, by faith, the Son of God, as suffering for my sins; but because it tarried not I therefore sunk in my spirit under exceeding guilt again. This is not to say that a similar sense of guilt is not present in narratives by Arminian Methodists. Indeed, one of the key elements of their narratives is this consciousness of sin that first motivates the individual to seek for salvation. However there is not of this vacillating back and forth over whether or not one is elect and, after salvation there is surprisingly little guilt or concern. Most famously, Bunyan spent years obsessing over whether or not he had committed the “unforgivable” sin of blaspheming the Holy Spirit. Large portions of Grace Abounding are taken up with his mental vacillation and anguish over this question and he does in fact seem to obsess over certain words, phrases, and scripture passages. In modern day psychological terms we might say that Bunyan was a clear manic depressive who went through extreme bouts of depression and melancholy characterized by obsessive thoughts; bouts that were promptly followed by incredible bursts of spiritual elation and a sensibility of God’s love. It is this extreme obsessive, manic, and internalized nature of the text, however, that is perhaps as intriguing from a literary perspective as it is tiresome to the reader, for it signals a larger sea change in the way narratives are constructed. Remember, Bunyan published Grace Abounding in 1666 at a time when poetry was still the dominant artistic form – and make no mistake Grace Abounding, even as an autobiography, is important from both an artistic and literary perspective. For, by shifting the narration of the story primarily to internal spiritual struggle instead of external action, Bunyan subtly reshapes our notion of narrator and action in a way that suggests the complex internal subjectivity and perspective of the novel. Furthermore, the narrative structure of the text is unique in that the first two thirds of the narrative are taken up with Bunyan’s internal struggle for spiritual freedom, while the final third is consumed with his imprisonment and struggle for physical freedom. Indeed, the two sections parallel each other both in form and in the way Bunyan conflates physical and spiritual freedom. Far from being an inconsequential addition to his personal struggle, the final third of the text indicates the extent to which Bunyan’s external life and actions were bound up with his inner experience. All this is not to say that Grace Abounding is a novel only that the type of spiritual autobiography it participates in is an important (and often ignored) forerunner to the novelistic form. Indeed, it is this complex internal religious subjectivity that informs outward action that is perhaps the most engaging thing about Bunyan’s narrative and it clearly powerfully informs how he interacts with a largely hostile public sphere that persecutes and imprisons him. In my next post, I will consider at greater length how the religious subjectivity Bunyan helped spawn came into conversation with the Evangelical Conversion narrative genre at large and the burgeoning Enlightenment discourse on religion, perception, and subjectivity. Continuing my journey through books I read in freshman survey Brit Lit. class and since forgot about, this weekend I moved from Paradise Lost to John Bunyan’s classic Pilgrim’s Progress. As with Paradise Lost, I was pleasantly surprised at how the fresh the text seemed to me and, especially given my religious studies bent, how much Bunyan’s work foregrounds so much of the writing of the Evangelical Revival in the eighteenth century. Of particular interest, though, is the way Bunyan uses the “dreaming” device to frame his famous allegory of Christian life. By framing the bulk of his text as a vision or dream Bunyan thus performs a subtle rhetorical move that has significant resonances for the rest of the text. Specifically he is able to locate his vision within the realm of Old Testament visionary prophecy – a tradition that enjoyed a remarkable resurgence during and after the English Civil War – and the burgeoning print culture that disseminated radical ideas during the interregnum. In doing so he infuses the text with subtle social and political commentary that both complicates and textures the overt evangelical and religious message of the allegory. 1In the year that king Uzziah died I saw also the LORD sitting upon a throne, high and lifted up, and his train filled the temple. 2Above it stood the seraphims: each one had six wings; with twain he covered his face, and with twain he covered his feet, and with twain he did fly. 3And one cried unto another, and said, Holy, holy, holy, is the LORD of hosts: the whole earth is full of his glory. 4And the posts of the door moved at the voice of him that cried, and the house was filled with smoke. 7And he laid it upon my mouth, and said, Lo, this hath touched thy lips; and thine iniquity is taken away, and thy sin purged. 8Also I heard the voice of the Lord, saying, Whom shall I send, and who will go for us? Then said I, Here am I; send me. Here the coals touched to the lips cleanses them and allows Isaiah to accept his prophetic calling. Likewise, the sparks of Bunyan’s thoughts become the material of his prophetic book – the materiality of which he acknowledges upfront – writing that so many prophetic sparks threaten to “eat out” the book he is “already about.” Nevertheless the narrator feels compelled to prophetically confront culture with the overflow of his visionary ideas. This prophetic tone continues throughout the verse introduction to the allegory as Bunyan considers whether he ought to publish his words or not – some friends advise him to, while others advise against it. This debate indicates the extent to which, especially in the religious climate of the Restoration, publishing one’s prophetic words at large was a potentially dangerous business. 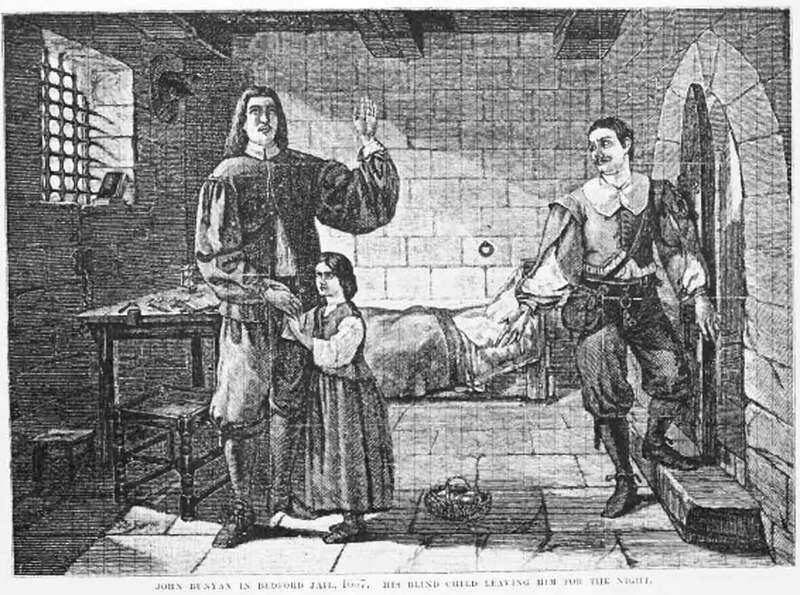 The events of the English Civil War and Restoration spawned a bevy of prophets like Anna Trapnel, Abiezer Coppe, and Gerard Winstanley, all of whom used the words of God call the world to repentance and true faith. Many of these prophets claimed to have received their messages in visions or dreams and then published them in cheap print editions for the general public. Anna Trapnel even performed her prophecies publically in a trance. Such “enthusiasm,” especially after the restoration was seen as potentially dangerous and seditious – threatening the newly restored political and religious order. Particularly when such prophecy ended up in print, it often took on a life of its own as print was notoriously difficult to police and could spread ideas like wildfire. What, then, was so potentially dangerous about Bunyan’s prophetic vision? Why does his narrator debate over whether to publish it at large? The answers to these questions lie largely in the specificities of the religious climate in England during the Restoration and specifically Bunyan’s status as a Baptist dissenter who refused to join the Church of England and often preached without a license. Likewise, the almost proto-Evangelical message of the text itself flies in the face of much of the accepted theology of the Restoration Church. For example, some of Christian’s greatest temptations come not from lust, greed, or avarice but from seemingly innocuous sources like Morality and Legality. In fact one of the first people Christian meets is Mr. Worldly Wisdom who advises him not to continue on to the narrow gate, but detour to the village named Morality where, “dwells a gentleman whose name is Legality, a very judicious man, and a man of very good name, that has skill to help men off with such burdens as thine are from their shoulders.” This is seemingly innocent enough fare but within this encounter is coded a harsh criticism of the Church of England which, after the Restoration moved increasingly towards a non-offensive, latitudinarian type of morality religion wherein true faith was determined by attending Church, living an upright moral life, and obeying the law. Thus in identifying Morality and Legality as snares to the true Christian life Bunyan is anticipating the critique of people like Jonathan Edwards, John Wesley, and George Whitefield who, during the eighteenth century Evangelical Revival, privileged the religion of the heart over the morality of the established order. IGNOR: But is not a good heart that hath good thoughts? And is not that a good life that is according to God’s commandments? CHR. Yes, that is a good heart that hath good thoughts, and that is a good life that is according to God’s commandments; but it is one thing, indeed to have these, and another thing only to think so. IGNOR: I believe that Christ died for sinners, and that I shall be justified before God from the curse, through his gracious acceptance of my obedience to his law. Or thus, Christ makes my duties, that are religious, acceptable to his Father, by virtue of his merits; and so shall I be justified. CHR. Ignorance is thy name, and as thy name is, so art thou; even this thy answer demostrateth what I say. Ignorant though art of what justifying righteousness is, and as ignorant how to secure thy soul, through the faith of it, from the heavy wrath of God. Yea, thou also art ignorant of the true effects of saving faith in this righteousness of Christ, which is, to bow and win over the heart to God in Christ, to love his name, his word, ways, and people, and not as though ignorantly manifest. In this exchange are echoed all the key concerns of Bunyan and the later Reformers – that religion has become a simple matter of outward practice, devoid of any inner transformation of heart and life. For Bunyan salvation was not a simple matter of acceding to a creed, it was an all encompassing encounter with the divine. Thus Ignorance ultimately meets his end at the gates of the Celestial City when he is denied entry and sent through the back door to Hell. My ultimate point here is that if this seems rather mundane and commonplace fare, this is perhaps because the theology that Bunyan articulates here has become so foundational to modern day evangelical movements. The theology of grace and heart transformation that we can trace from Bunyan through to Wesley and Whitefield and on to the present day has come to dominate much of our religious discourse. This reading, however, overlooks the fundamentally radical and prophetic nature of the text. In articulating this viewpoint Bunyan was flying in the face of the political and religious order – an order than had been shaken to its very foundations by the events of the Civil War. By prophetically framing his dream vision in print Bunyan was wading into the waters of religious enthusiasm that were still roiling and inviting censure from both public and establishment. The fact that Pilgrim’s Progress has been printed more times than any book except the Bible still does not obscure the fact that its message was radical and its author a revolutionary.